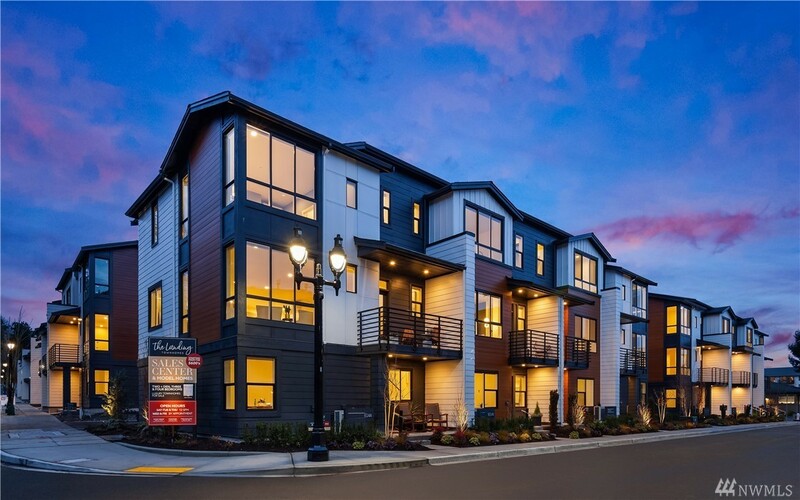 THE LANDING, A Walk Anywhere Community in the heart of DT Bothell just steps to McMenamins, shopping, cafes, parks & trails! Upgraded features come standard: Slab quartz counters, under-cabinet lighting, beverage fridge, KitchenAid appliances, AC, BIG 2 car garage (please compare), wrought-iron railings, sleek hardwoods & covered deck. This 3 bedroom, south facing "Wayfarer" features light floor to ceiling windows to bring in the natural light. Sumptuous master suite. MOVE IN READY!